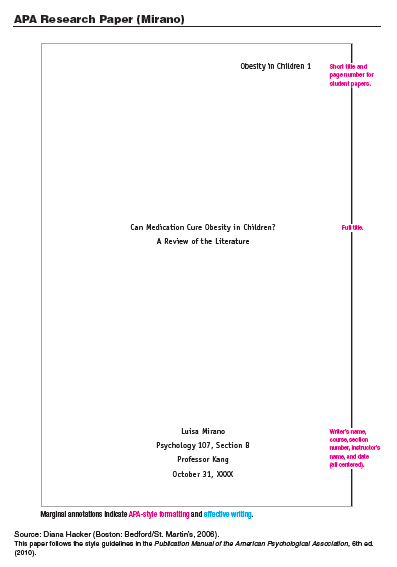 The Publication Manual of the American Psychological Asociation is the offical guide of APA citation formatting. You can find the manual at the reference desk and in the reference section of the library's collection. PowerPoint Presentations on different aspects of APA style. 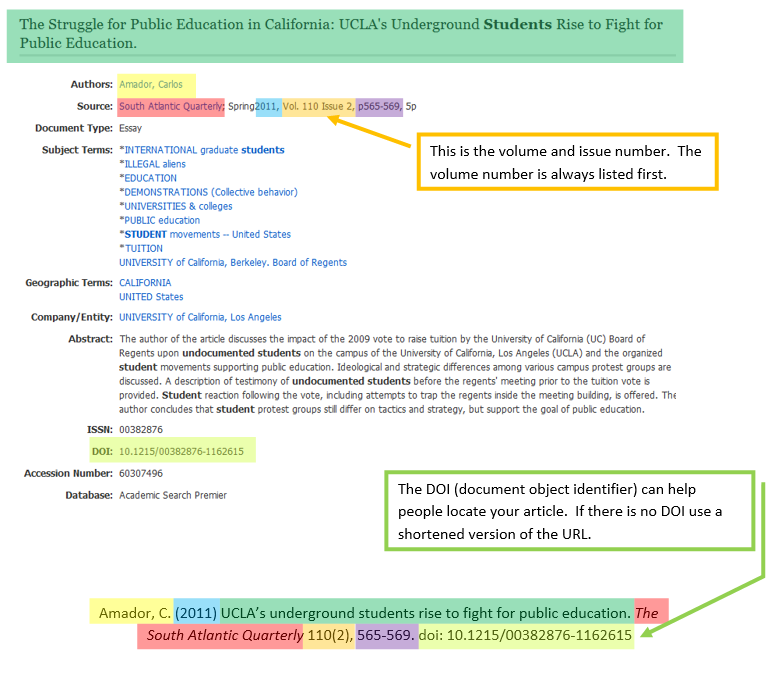 PowerPoint presentation on how to cite a journal article from a library database. Presentation on the steps for citing a website and what to do with missing information. How to create in-text citations in APA. The Purdue OWL APA Formattting and Style Guide is another helpful resource for APA citation. In text citions (giving credit for any quotes, facts, paraphrases, or summaries in your paper) and creating a list of references. The Harvard Guide to Using Sources provides excellent advice on the mechanics of citations. 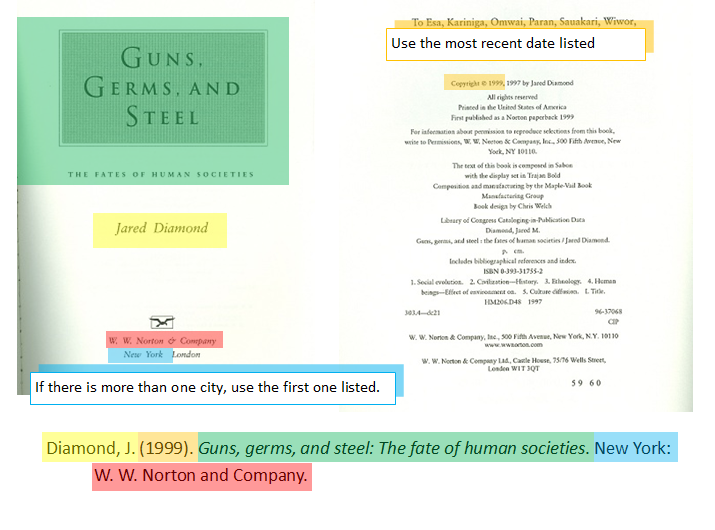 Great visual examples on citing various sources in MLA, APA, and Chicago. The APA Style Blog is a great resource for those hard to answer questions, like when do you use a DOI, how to cite a YouTube comment, and more. 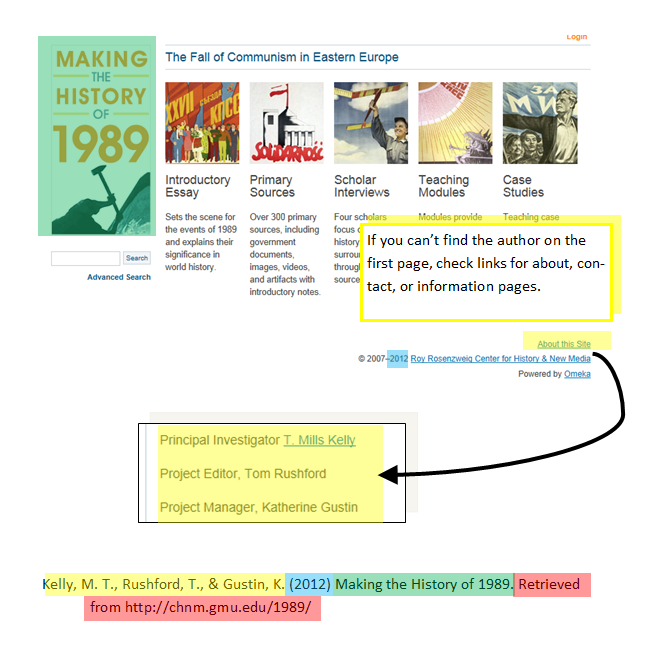 Easybib: enter information about your book, article, or website and Easybib will create a citation. Use code CanadaCo116 to create an account. Need more help? This excellent video series by the Memorial University Libraries explains how to cite using APA in a step-by-step process. When you use outside sources, you will need to create a References page that tells your reader all the information they need to find the source themselves if they want to. See the examples below of commonly used resources. For more information about creating a Reference list, see Purdue OWL's APA Formatting guides. There you will find examples of how to cite many different types of sources. Last Name, First initial. (Year). Title. City and the state Published: Publisher. Highmore, B. (2001). Everyday life and cultural theory. New York, NY: Routledge. Introduce the quotation with a signal phrase that includes the author’s last name followed by the year of publication in parentheses. Put the page number (preceded by “p.”) in parentheses after the quotation. and the young” (p. 5). Longer quotes are indented to set them off. Include the author’s last name and the year either in a signal phrase introducing the material or in parentheses following it. exceeded only by the cost of treating illnesses from tobacco use. 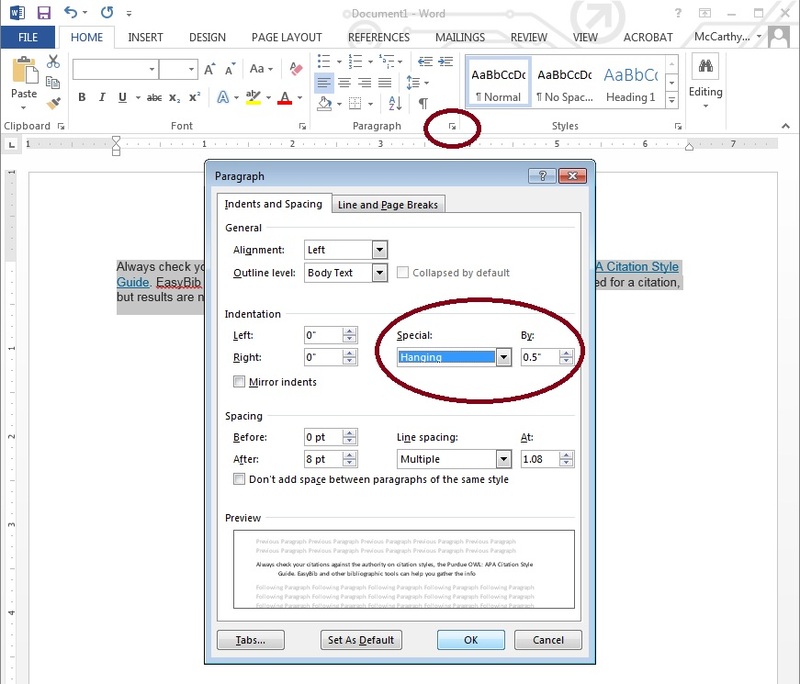 To create a hanging indent in a Microsoft Word document, go to Paragraph -> Indents and Spacing -> Indentation -> Special -> Hanging. See the illustration below.